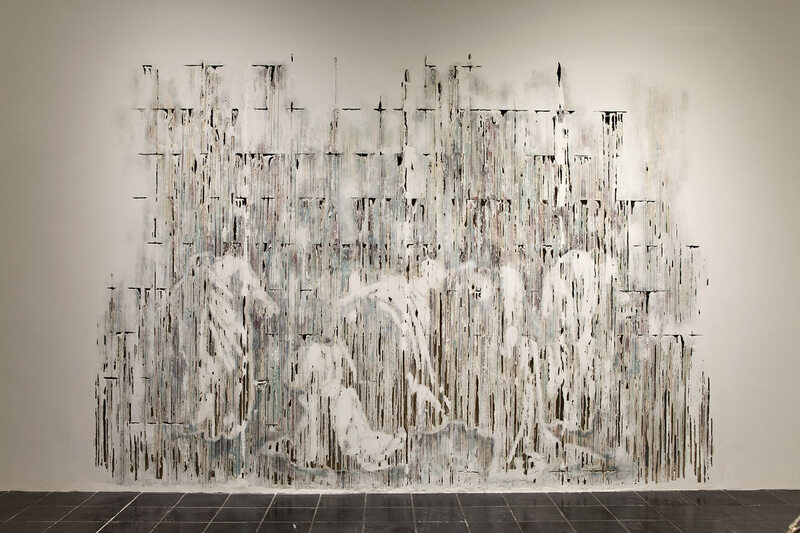 Born in Syria and raised in Ohio, Diana Al-Hadid makes haunting works that convey a world turned upside down. 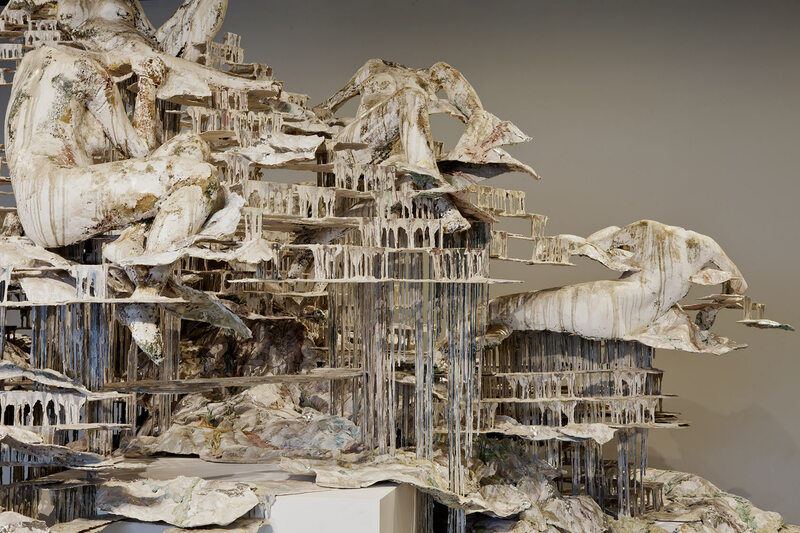 Formal yet liquid, amorphous yet figurative, the sculptures explore notions of traditional architecture while encompassing elements of painting, stagecraft, and suggestive open-ended narratives. While the pieces can look like renderings from a fantasy world, they are also intricate studies of space and structure in which the viewer is continually reengaging the work through its constant shift and flow of perspectives. 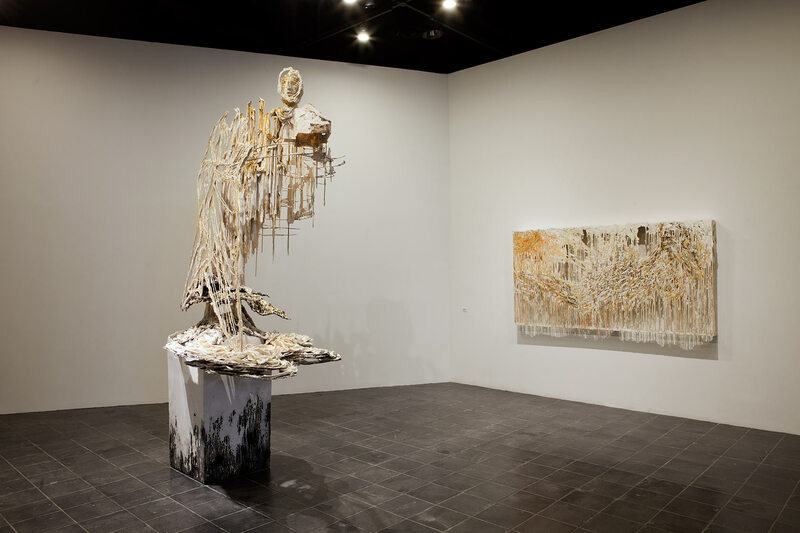 The exhibition Diana Al-Hadid highlights the artist’s use of pictorial devices conventionally used to convey perspective in two dimensions, innovatively extended into three-dimensional space. 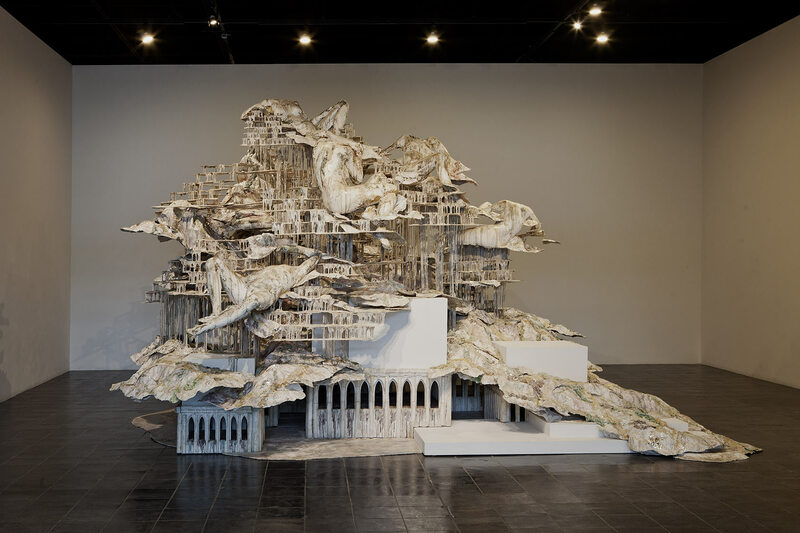 Al-Hadid’s recent large-scale gypsum-and-metal sculptures, small bronzes, and drawings were inspired by myriad sources, including Italian and Northern Renaissance painting, Gothic architecture, and Hellenistic sculpture. 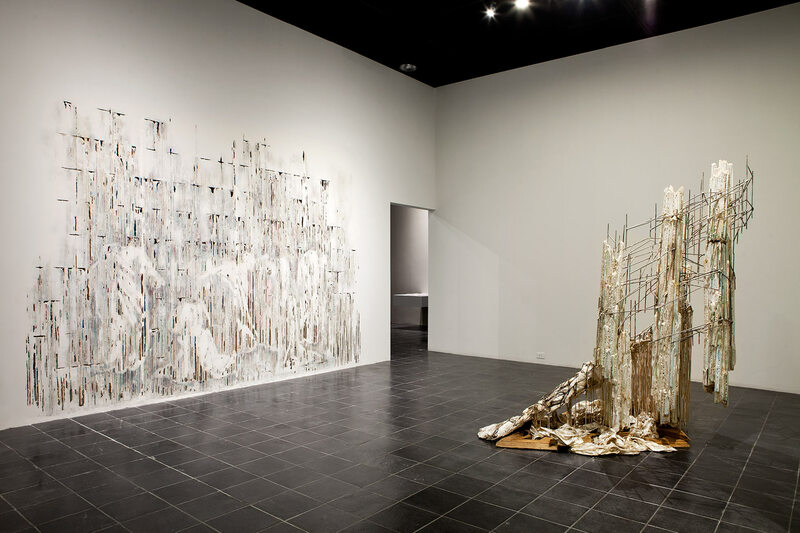 She covers new terrain for contemporary sculpture, all the while exhuming influential visual histories.